BOB ABERNETHY: Now the latest on the Tamir Goodman story. In Baltimore, Maryland, Tamir is both an Orthodox Jew and a star basketball player. At 17, in his junior year in high school this past season, he averaged 35 points a game and was offered an athletic scholarship next year by the basketball powerhouse University of Maryland. Tamir’s determination to be both an observant Jew and a superb athlete attracted national attention, something most schools might crave, but not Talmudical Academy, Tamir’s school, where religious studies are considered more important than sports and fame. So Tamir and Talmudical have both decided he should go to another school for his senior year. From Baltimore, Paul Miller has more. PAUL MILLER: Out of the spotlight for a while and working hard, Tamir Goodman pursues one of his two missions in life. UNIDENTIFIED TRAINER: C’mon, more. C’mon, Tamir. C’mon! 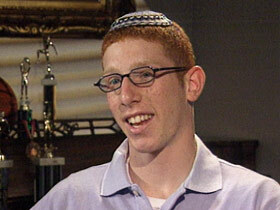 TAMIR GOODMAN: I’m just trying to be the best basketball player and the best Jew I can be at the same time. There’s no — I don’t see any conflict between the two. UNIDENTIFIED ANNOUNCER: Number 22, Tamir Goodman. MILLER: That combination was irresistible to the news media, especially when they discovered just how good a player Tamir is, good enough to be offered a full scholarship to the University of Maryland while still a junior in high school, good enough for a scholarship even when he said he won’t play in Friday or Saturday games that conflict with the Sabbath. The Jewish Jordan, they called him, and everyone wanted a picture of him davening, or praying, wrapped in tefillin, or phylacteries. The celebrity was surprising and a bit unwelcome. GOODMAN: I didn’t realize it was going to be that crazy, but I kind of had a feeling. I still think it’s too much attention. I haven’t done anything yet. MILLER: Tamir Goodman lives on the edge of an Orthodox neighborhood in northwest Baltimore. He attended a school that produces rabbis, not basketball players. There was some resistance within the community to his open pursuit of basketball excellence. Mr. CHAIM KATZ (Tamir’s Coach): I think that there are some Jews who are not happy because Tamir should be learning Torah all day. They don’t complain that their lawyer’s not learning all day, or they don’t complain their accountant’s not learning all day or their doctor. MILLER: The media and public attention kept building. But by the end of the basketball season, games had to be moved to bigger arenas to accommodate the crowds. Some people were appalled that an Orthodox Jew was being idolized, not a positive thing in Jewish law. Others worried Tamir was not keeping a strict Orthodox separation from the distractions of the secular world. The tensions between big-time basketball and Orthodox Judaism proved to be too much for Tamir’s high school. Talmudical Academy officials apparently concluded the school’s image of Torah study was being tarnished, and it would be better off without Tamir and his outspoken coach. Basketball at the school will now be deemphasized. Tamir says there’s no ill will on either side. As an Orthodox Jew, Tamir is more of a trailblazer and more of a role model for another part of the Orthodox community that wants to expand horizons while remaining true to the faith. 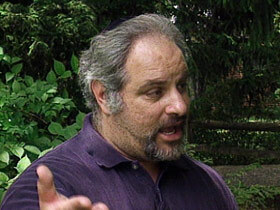 Rabbi BARRY FREUNDEL (Kesher Israel): I think it raises our profile in a very positive way. We have — it’s always been raised in a positive way. But I think it gives the entire community a focal point for pride, and I think it gives young kids somebody they can look up to who’s very, very much like them, and I think that’s really exciting. MILLER: Every week, Tamir signs up to 150 photographs — they’ve been a hot bar mitzvah gift — part of his commitment to the community. 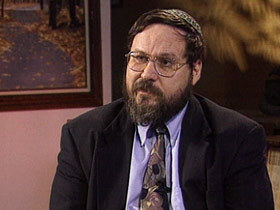 Rabbi FREUNDEL: He tries very, very hard to live up to the commitments of being an observant Jew. And that’s why he has been for us what we call a kiddush hashem, meaning a sanctification of God’s name. You know, he wears his kipah, he wears his skullcap, and everybody knows who he is. And the way he comports himself on the court and off the court reflects, you know, really well on our community, and I think that’s very positive. MILLER: It also reflects the faith of his father Karl and mother Chava. 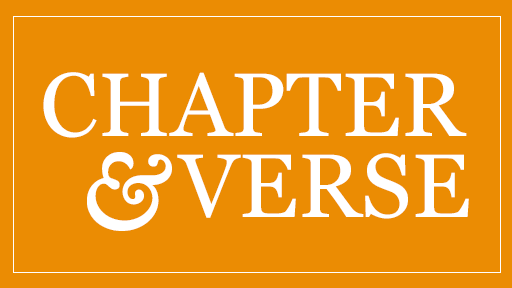 She returned to Judaism as an adult with a fervor that led her to the Hasidic Lubavitcher sect. His mother gives tzedaka, or charity, every day while praying for Tamir’s safety. When he plays, she prays, outside the building, afraid to watch. Tamir has no doubts that obligation to God comes before any aspect of basketball, and so there’s no conflict between basketball and the duties of keeping the Sabbath and praying three times a day. GOODMAN: I have to pray before I’m going to play, because that’s my first priority; God’s my first priority now. I’m not going anywhere unless I thank God for my talents first. MILLER: It’s an attitude that sets him apart from many of the other elite players he now comes into contact with in a world of all-star basketball camps, newsletters that rank top prospects, and heavy recruitment pressures. The expectations are enormous; the pressure will almost certainly increase. 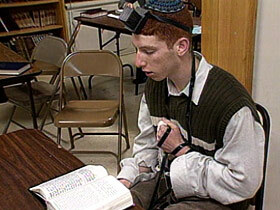 Observant Jews say even in college, Tamir will be able to keep prayer in his schedule, keep a kosher diet with a little planning, make sure his social life follows the rules. Maryland says it will reschedule as many games as possible to avoid conflicts with the Sabbath. Tamir Goodman hopes his twin goals of being the best Jew and the best player possible are still within his grasp. I’m Paul Miller for RELIGION & ETHICS NEWSWEEKLY in Baltimore.